Matson Navigation Company has been serving Hawaii since 1882 and is recognized throughout the state as the Islands’ premier ocean carrier. Matson Navigation Company, Inc. is, and has been, focused on the preservation of the environment and the health of the communities in the ports our vessels serve. Matson vessels transit some of the most environmentally sensitive areas in the United States including the Hawaiian Islands, the coast of California, and the Puget Sound. These areas derive a great deal of their livelihood from the maritime environment, either from tourism, transportation, or fishing. Matson acknowledges and embraces our responsibility as a steward of these areas, and ensures the inclusion of environmental considerations in all of our planning. Matson is proud to have twice been awarded the U. S. Coast Guard’s prestigious William M. Benkert Award for Environmental Excellence. 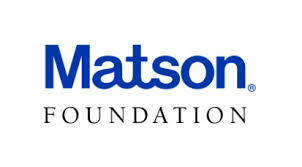 One of Matson’s core values is to contribute positively to the communities in which we work and live. It is a value our employees have generously demonstrated throughout our long, rich history, and one characterized by community service and outreach. Whether in Hilo, Hawaii or Oakland, California or Savannah, Georgia, our employees have guided our corporate giving efforts to a diverse range of causes. While we were able to show our support in 2014 for 646 organizations that reflect the broad geographic presence of our employees, being a Hawaii-based corporation which has served the Islands for over 130 years, most of our giving was directed to this state. In total, we contributed $1.8 million in cash and $140,000 of in-kind support. This includes two special environmental partnership programs in Hawaii and Guam, Ka Ipu ‘Aina and Adahi I Tano’, respectively. Since its inception in 2001, Ka Ipu ‘Aina has generated over 1,000 environmental clean-up projects in Hawaii and contributed over $1 million to Hawaii’s charities, including the Hawaii Fish Reef Project.